You are currently browsing articles tagged foam. Quite often a good photo is waiting to be found in the details. 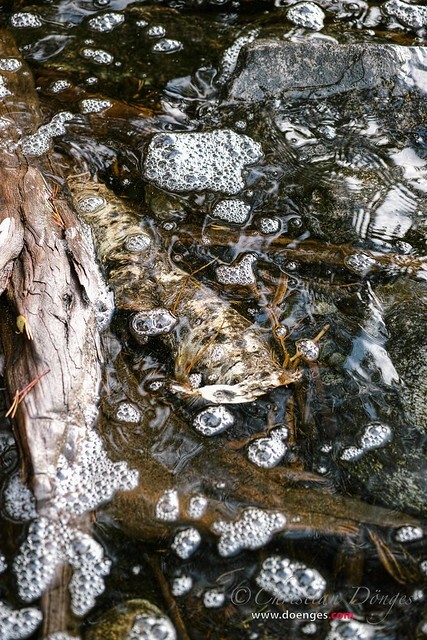 While walking along a lake, I noticed the water washing up against rocks and dead wood, whipping up a light froth. I bent down and looked more closely and the longer I looked, the more interesting patters formed and dissolved themselves.